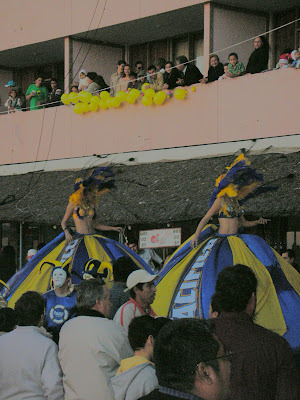 Carnaval was loud, crazy, full of beer, hot dogs, kids with neon light sabers and confetti. And it was fun. We’d heard lots of stories about how wild and noisy it was – and it’s true that the later you are out the louder and younger the crowd gets. But we learned that we can choose what we want to do and stay home when we don’t feel like it. The dogs survived, too – although neither of them like fireworks and they head to the cubby under the towel shelves in the bathroom. They are just going to have to learn to live with fireworks since that’s just part of celebrating in Mexico. 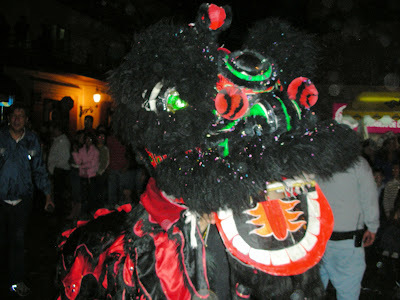 Last night was the last parade that brings about the end of Carnaval. 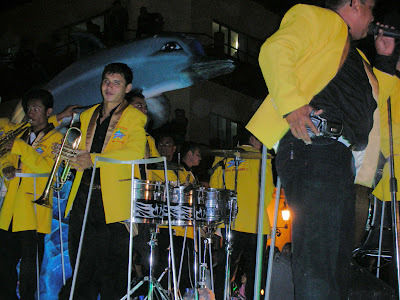 We found a spot along the parade route where it ends at Olas Altas and I tried to take a few pictures. 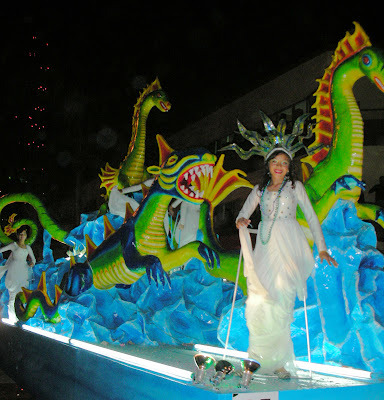 We have a point-and-shoot camera and of course the floats are moving so accept my apologies. I think they still give you the idea. Even bloggers take a holiday break! 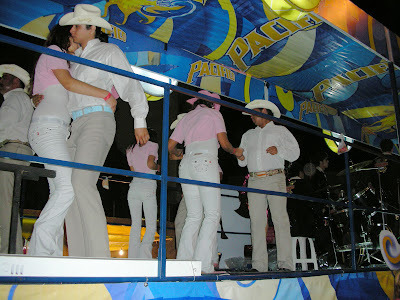 Carnaval ends with a sigh. Great post. It apppears that Matzalan’s Carnival is quite the event. And I was happy to hear the dogs survived. You had better get to the Mexican coast, quick! It’s the best location to study the species Carnavalus Mermaidus in the wild. WOW! 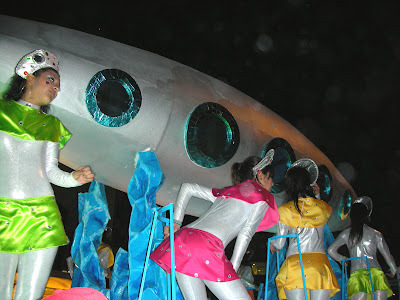 The pics of the floats are really great. Thanks for “including” us in the celebration. 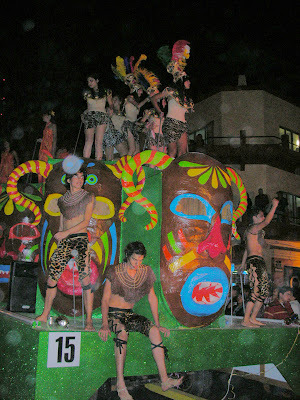 Wow… as A Tribe Called Quest would say, we had “nada nada nada, not a damn thing!” for Carnaval here in Playa del Carmen! Thanks for the photos of the parade! We were so close to getting to see it, but arrived in Maz one day too late. Sorry I didn’t get off an email that we were in town, internet access was just too spotty. Now we’re in Chacala.